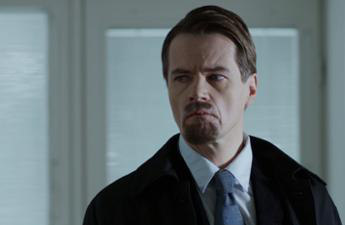 Sneaking in behind the big-budget, high profile Marseille is Easy Living, a quirky crime drama from Finland that seems to be generating some buzz in the international TV marketplace. After the first episode, our netTVwatch team was not quite sure what to make of it. Maybe the (intentional?) irony of the show’s title is a clue. The Easy Living TV show has a solid premise and interesting characters, but does not always feel like the mainstream, suspenseful series it appears to be. 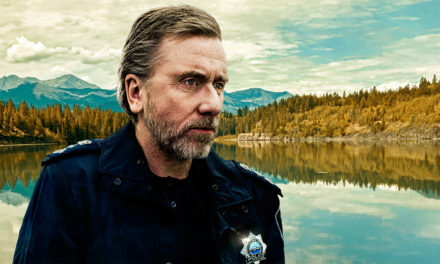 After a couple of episodes, we wondered if the creators’ intentions were somewhat tongue-in-cheek, not quite like the Coen brothers, but with touches of dark, slightly off-kilter humor. Halfway through Easy Living season 1, we were still not sure, but found ourselves enjoying the series more, drawn in by it’s unusual charm and the likable Tapio Mikkonen (Karl-Kristian Rundman), a small time crook and con man, who is trying to make a living and keep peace within his family. The Mikkonen family has some similarities with the Keily’s in Red Rock, though – by appearances – they are more firmly established in the middle class and a little more grounded. Tapio and Jaana have two teenagers, a boy and a girl, and Jaana, like Bridget Kiely, nudges and pushes Tapio. She is more interested in reward than she is concerned about risk and also has a strange obsession with becoming chair of the local PTA. The children are figuring out their family is not quite normal and have started scheming for themselves. Daughter Paivi is hoping to move out own her own, though she has not yet finished high school, and Jari is inclined to follow in his father’s footsteps. As the season progresses, their situations take on a more serious tone. 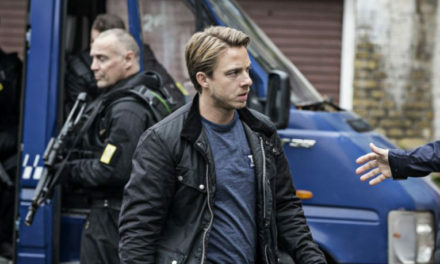 While the Easy Living TV series does not match the best Nordic Noir crime dramas, it has its own unique charm that many viewers will find appealing. Give it a little time, and you may find yourself one of them. There are 12 episodes in the first season – each less than 45 minutes – which can be seen on Netflix or Acorn TV. Easy Living seasons 2 and 3 are also available, but only on Netflix at this time. In my view the best Nordic crime drama yet by some margin, since the Mikkonens are people you begin to really care about, drawn into their tangled webs of deceit and criminality, but ultimately a family tryng to make it through the day – like any other family. I really liked this series. I hope that there is a season four. I think the last series was terminated rather quickly, having fewer episodes. sailing off on the old tug seemed a tame ending and left me feeling let down. May be another season will resolve a lot of the loose ends.